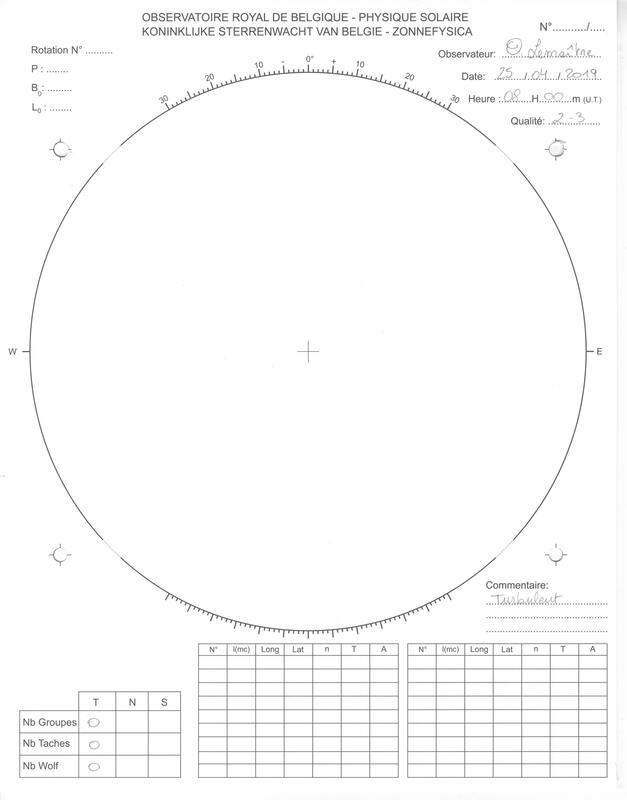 An international panel of experts coordinated by the NOAA and NASA,to which the WDC-SILSO contributed, released a preliminary forecast for Solar Cycle 25 on April 5, 2019. 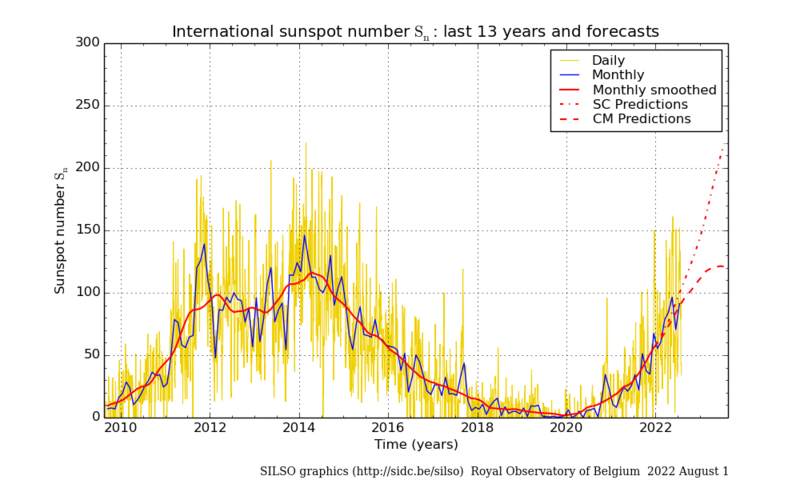 Based on a compilation of more than 60 forecasts published by various teams using a wide range of methods, the panel reached a consensus indicating that cycle 25 will most likely peak between 2023 and 2026 at a maximum sunspot number between 95 and 130. 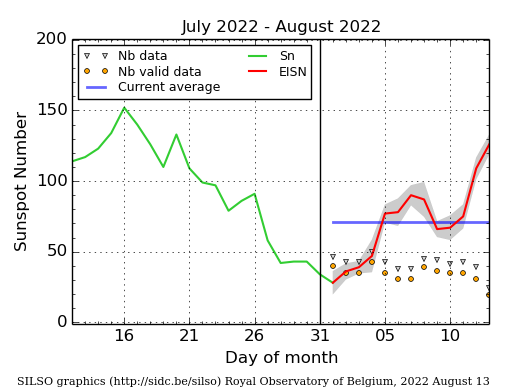 This prediction is now given in the scale of sunspot number Version 2. 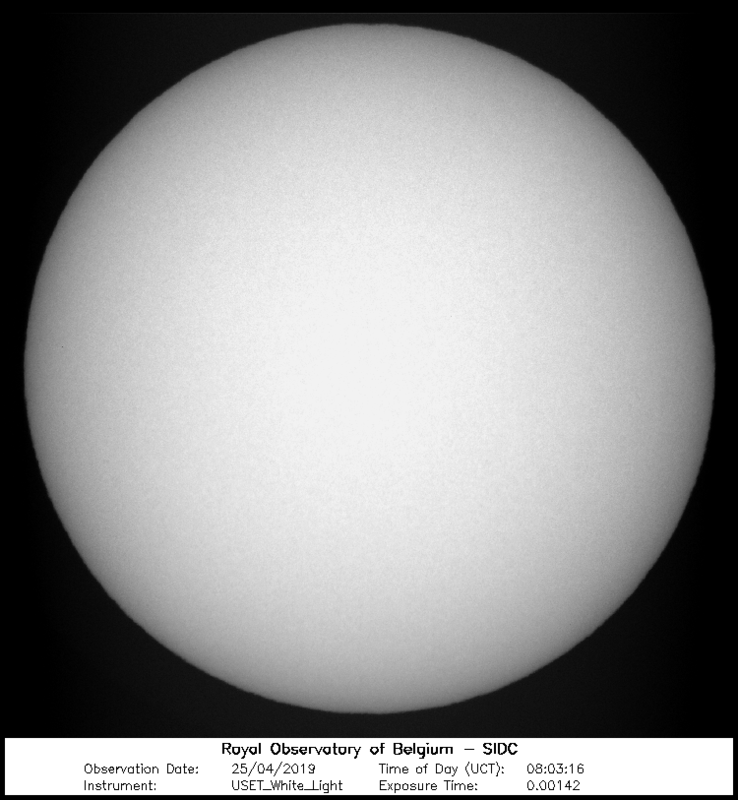 Therefore, solar cycle 25 will be similar to cycle 24, which peaked at 116 in April 2014.